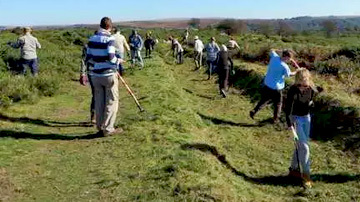 another group re-cleared slit trenches dating from the American army camp at Mardon in the Second World War. 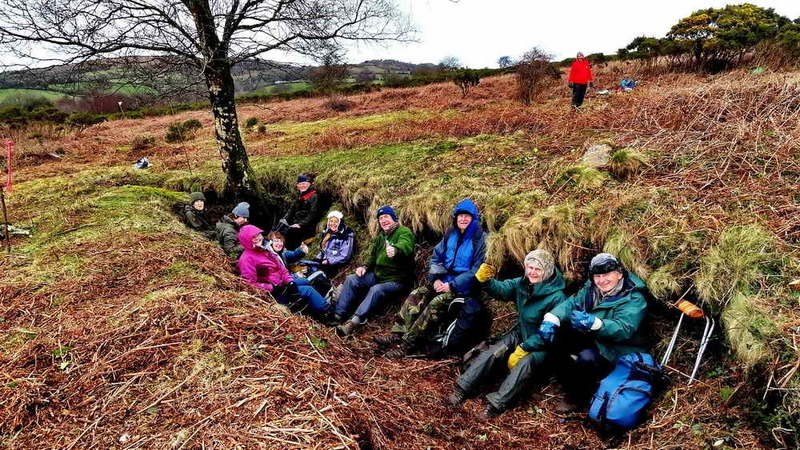 other volunteers worked on a new site on the west side of the moor where there are some very large WW2 trenches – quite impressive once the bracken, gorse and encroaching shrubs were removed – and providing a very welcome shelter from the wind at lunch-time. 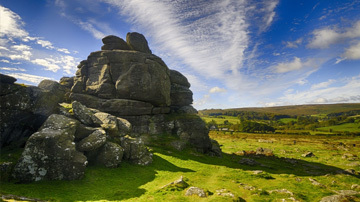 Using information provided from a recent drone lidar survey we also investigated two areas that might have contained circles of various descriptions but as yet without positive results.